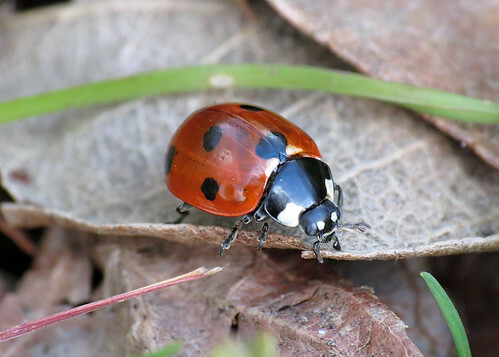 Yorkshire Entomolography – Page 512 – Life is a series of tiny little miracles, notice them. Entomological recordings by Paul Ashton. 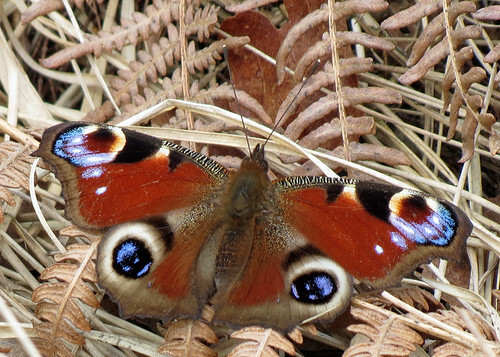 Today saw me visit Skipwith Common National Nature Reserve, in the hope of finding some reptiles to photograph. Unfortunately the strong winds didn’t help, with few sheltered spots available for them ‘catch the sun’. 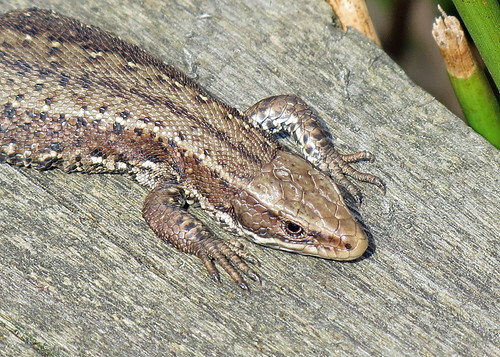 The only reptiles showing were some Common Lizards Zootoca vivipara, mainly on the board walks in the centre of the reserve, so another visit is called for to see the snakes. The warmer temperatures have improved things on the invertebrate front, though the wind was making it difficult to hold the camera still for macro shots. 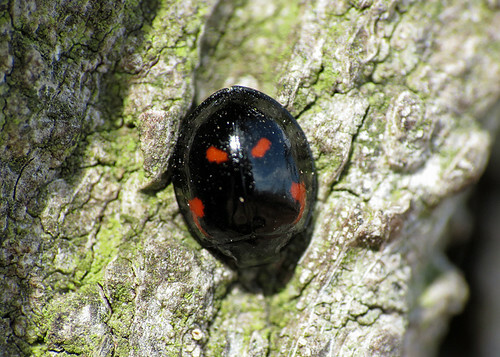 I was hoping to find several ladybird species, however despite checking many tree trunks I only managed to find a couple of Pine Ladybirds Exochomus quadripustulatus, and the commoner 7-spot Ladybird Coccinella 7-punctata. 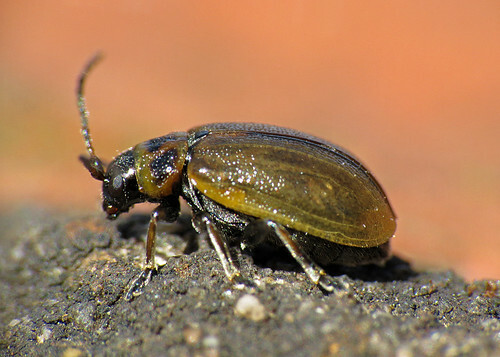 The most numerous beetle present was Heather Beetle Lochmaea suturalis found mainly in the dryer central heath areas. 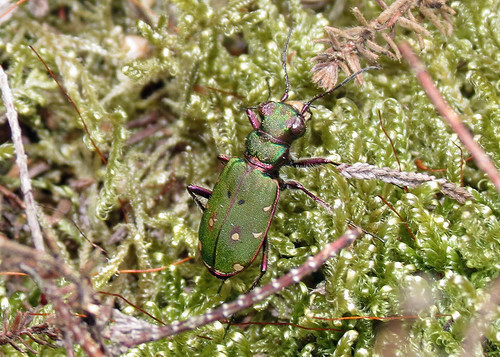 Always nice to see was the attractive Green Tiger Beetle Cicindela campestris. 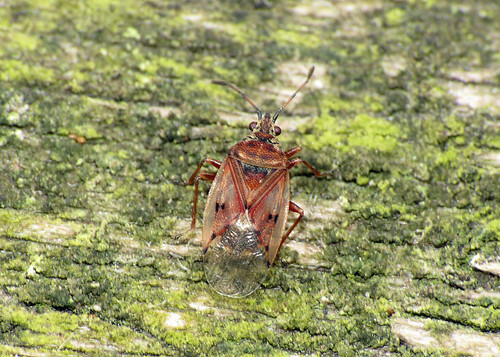 A real test for the DCR-250 macro lens was Birch Catkin Bug Kleidocerys resedae at only 4mm in length, nice to see some detail which is normally difficult to see with the naked eye. 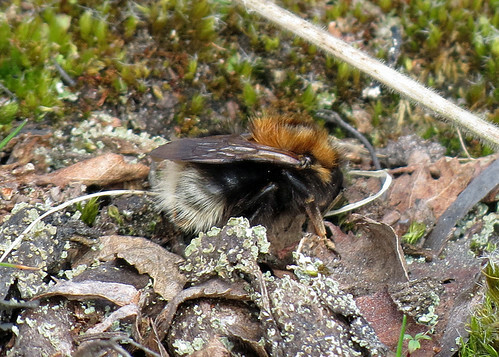 Several bumblebees were seen, though only Tree Bumblebee Bombus hypnorum settled long enough to get a shot. This species has only recently colonised this country. 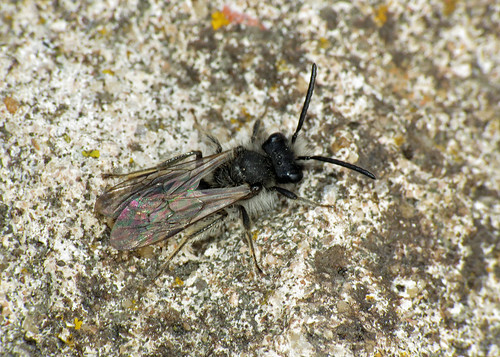 There were lots of small Andrena Mining Bee species present, the one photographed not identified to species, so suggestions are welcome. Only one butterfly species was encountered, Peacock Inachis io. 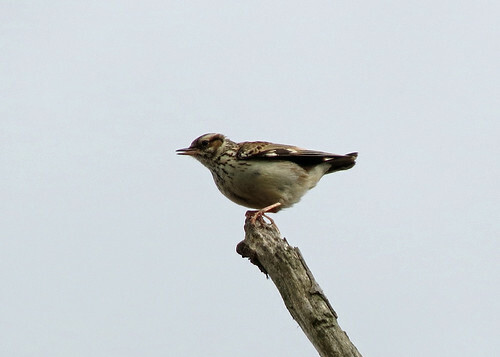 Finally the birds get a look-in, the melancholy song of the Woodlark Lullula arborea catching my attention, with this male perching on a tree next to the path.